Shut the Door and Teach: My Other Classroom Blog: For Students! Earlier this year, my principal told us that we have a new school website, with built in links to teacher pages, so we should each create a website. 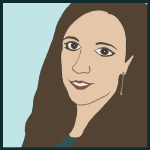 While I'm not sure website design is everyone's kettle of fish, I've been blogging in one form or another for about 10 years (I probably wouldn't have met my husband if it wasn't for my blog). So since it's a hobby I enjoy anyway, I thought why not? So I began learning the ins and outs of Weebly, since that was the recommended platform. 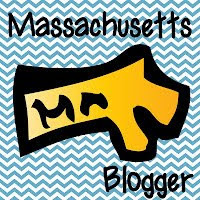 I prefer Blogger, but I thought it best to keep my commercial account here separate from my school blog, which could evolve into something that showcases students' photos or original work. I came up with a name (different from the one you'll see below, again, for privacy purposes) got a design I liked, wrote an introduction, uploaded a photo, and I was on my way! As I was designing, which is the fun part, I was thinking at the same time about what content to include. I didn't just want a rehash of the school information because that's dull and unnecessary. I wasn't sure I wanted to commit to updating it weekly with news and homework. It's great that some teachers do this, but to me, that would be a chore, and I don't want to get called out on lagging behind in it. The kids should be copying their own assignments in 4th grade, not using the site as a crutch and blaming their teacher for not updating, haha. No, I wanted my page to have a little more personality than that. And that's when it hit me. If this website was going to really be my own, it had to be about the things I'm already doing in class, and the things I'm already doing online: blogging. I just happened to start taking photos on my phone of lots of anchor charts I made this year. I could post those. Then parents could see what we were learning. Like, the actual content of what we were learning. And then I realized something even more important. The KIDS could see the actual content of what we were learning. 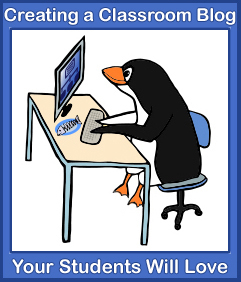 Suddenly, the idea of blogging about my classroom took on a whole new level of importance. Imagine: the kids could be home, doing their homework, notebook open, unable to make sense of their notes in math. They could go to the website, click on "math," and see the most recent post with a full color photo of the steps involved. Or a photo of the manipulatives they used to model the equation. Those kids who have trouble focusing with 17 other kids in the room could go over the exact material they need. The parents who look at the Math in Focus and throw their hands up in frustration because they learned to multiply a different way can look over their kid's shoulder and read the steps to them. But I had to make it fun, or they wouldn't care. So I decided to go out on a limb, and make the blog interactive. That's right: I decided to open comments on posts. Real time comments. Is this irresponsible for elementary students? Maybe. On the other hand, I think it's naive to believe that students aren't texting each other, and in some cases lying about their age on other websites like Facebook, writing comments online already. At least if I allowed comments on my own site, I could monitor them. I could teach about audience, and representing yourself well online since it's a worldwide audience. I could teach about written responses being on topic, something every fourth grader needs to learn for standardized tests. And it would all be motivating because it's for an authentic purpose. I worked for 3 days over Veteran's Day weekend, publishing and post dating the photos I'd taken and wrote short, easy to read posts, post dating them from the beginning of the year to the present. Then I waited until Friday, the day the kids had computer time, sat them in front of the Smartboard in our media center, and said in a low, conspiratorial voice, "I've been keeping a secret from you." The reaction from the kids was overwhelming. They were SO excited, seeing photos of things they'd already experienced, and knowing that they were allowed to comment. They rushed to the computers once I walked them through the site, and they flooded it with comments. Half of them were, sure enough, needing deletion as spam. But it's lead to great discussions and self/peer evaluation during subsequent computer lessons. And some of the comments have shown me how invested kids are in their school experience. Some of the kids (and parents!) have commented to thank me in heartfelt ways that they might be too bashful to say in person. 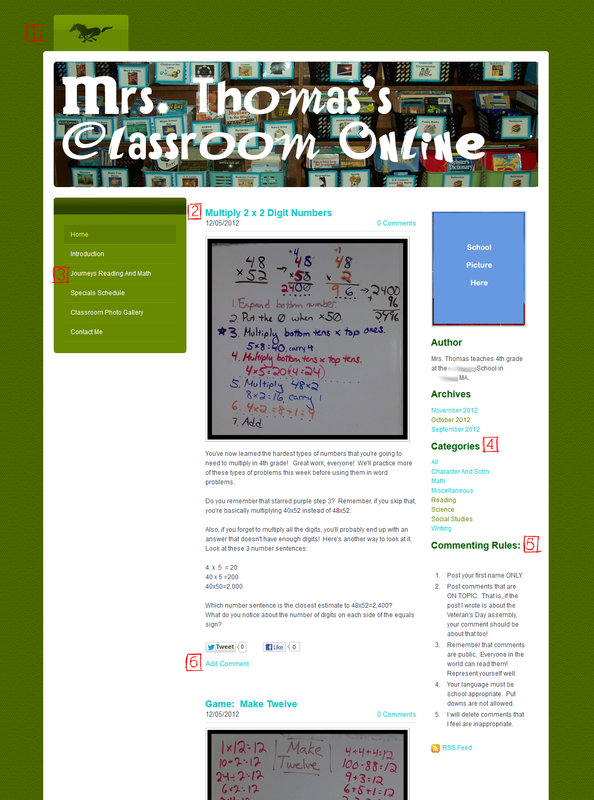 My classroom blog does NOT feel like a chore. It feels like an online snapshot of the things I want my students to know, and a place that they can safely visit any time for information or entertainment. Our school logo brings students to the homepage from any page. Posts appear on the homepage in chronological order. There are different pages that are not interactive. The Journeys page links to explicit directions for how to log on to Journeys so they can read their books or print off workbook pages. The Contact Me page has a form which students can use to Email me privately, and the Email goes to my school account. I clarified that by "private," my principal can read my Emails if he needs to, just as a way to cover myself. I also explain on this page that I will not Email the kids back; I will reply in school. I've only gotten 2 Emails from students so far, and both times it was accidental; they wanted to comment but forgot how, haha. The categories help students find posts from specific subjects. Commenting Rules remind students of posting requirements. They are forewarned about public put downs of other students, and they are not allowed to post under aliases. They don't know it yet, but if commenting ever goes down a bad road, Weebly has an option that allows me to monitor comments BEFORE they are published. I will use this feature if I need to, but as long as they are enjoying the feature and being responsible, I'd like them to experience the instant gratification because it encourages more interactivity! The comment link after each post. Even weeks later, kids are still commenting. If you're interested in creating a classroom blog with your students, I've created a freebie to walk you through the planning process, as well as step by step instructions on how to create a website and your first post on a free blogging platform. 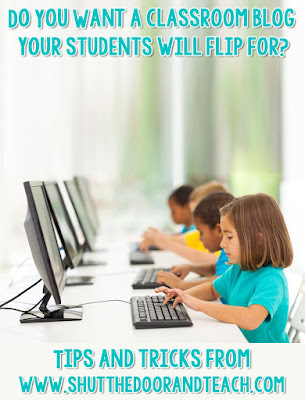 Check out How to Create a Classroom Website (Blog) in my TPT Store!